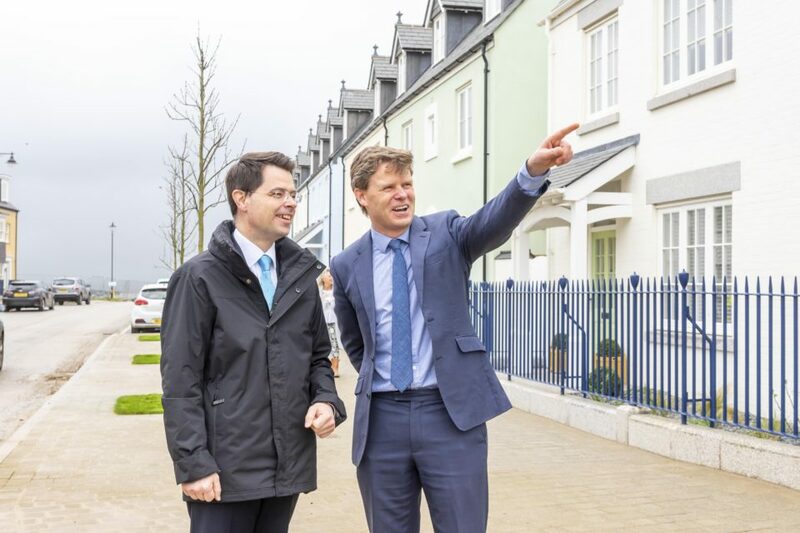 Rt Hon James Brokenshire MP, Secretary of State for Housing, (left) with Ben Murphy, Estate Director for The Duchy of Cornwall, pictured during a tour at Nansleddan. “We were delighted to show the Secretary of State how development can be inclusive and a positive force to deliver new homes, jobs and growth, without compromising on quality.” Construction of Nansledan began in 2014. It is being built on Duchy-owned land by a consortium of South West building companies including Wainhomes, CG Fry & Son and Morrish Builders.